Taiwan boasts a large number of globally competitive manufacturers of furniture parts, to enjoy solid presence in the global furniture supply chain. Despite global economic uncertainties, most of Taiwanese furniture parts makers have yet to slow their pursuit of sustainable development through improving production capability and product quality to win trust from global buyers. The following sums up three manufacturers noted for consistent efforts on sharpening competitive edges differently. One supplier who competes well on consummate production capability is Liang Harng Industry Co., Ltd., founded in 1986 in Taichung County, central Taiwan. Liang Harng started out by making plastic rollers and bearings for OA and household furniture. Angus Tsai, the manager of the company, said that his company, to set itself apart from competitors, insistently adopted POM (polyacetal) plastic exclusively imported from Germany to produce rollers and meticulously built steel balls into each of its plastic rollers for structural durability and long lifespan. Such dedication to quality aided the company to emerge in the line, and quickly evolve into the largest supplier with a 60%-plus share of Taiwan's plastic roller market in early 1990s, according to Tsai. He went on that his company also became Japan-based Hitachi Koki's first certificated foreign supplier of plastic rollers during the span. Bolstered by consummate production capability and solid recognition among buyers, the company has been renowned as a top-notch supplier of this kind in Taiwan. Considering that ball bearing slides were increasingly applied in furniture as an economical alternative to plastic rollers during the 1990s, Tsai's company resolved to develop its OEM (original equipment manufacturing) business in 2000 and successfully became part of a European company's supply chain of K/D furniture parts. 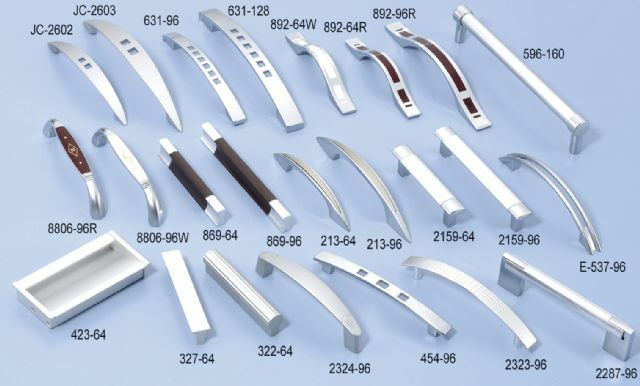 Since then, the company has broadened its product lines to houseware and K/D furniture parts, such as plastic and zinc alloy hinges, adjustable feet and drawer slide rails. Tsai reported that Liang Harng boasts a full line of manufacturing facilities for pressing, bending, welding and so forth, along with a complete powder coating line and plastic injection molding line. “With these facilities, we achieve over a self-sufficient rate 80% in production,” stated Tsai. “This enables us to better satisfy customers with speedy prototyping and flexible production.” Noteworthy is that almost all of the company's plastic injection molding machines had been in full swing during the last quarter of last year to stem its growth. Liang Harng's newly launched adjustable table leg is an example. Tsai introduced that the leg was developed out of nothing completely based on the company's know-how and experience to meet a European client's requirement, and allows easy, effortless 15cm height adjustment, with the body made of aluminum die castings coupled with an exquisitely coated plastic cover at the end for an integrally shaped exterior structure, ideal for use in both commercial and household furniture. Tsai concluded that while continuously improving its production capability and factory efficiency, his company is trying to make breakthroughs in new product development, its strategy for sustainable development. Another maker that has placed its heavy emphasis also on setting up sound, integrated production lines in house is Shen Shan Internatinoal Glide Mfg. Corp., established in 1981 in Taichung County, central Taiwan. Shen Shan started by turning out plastic injection furniture parts and, with more than 25 years of dedication to the field, achieved comprehensiveness in its product portfolio. At the moment, the company, with 35 workers in its 33000-square-meter plant, manufactures a variety of plastic furniture parts, including plugs, casters and related accessories, as well as a series of hardware parts, which have been exported to Australia, the U.S., Germany and Canada. The company's managing director Wu Sen-mao said that as a seasoned furniture parts maker on both an OEM and ODM basis, Shen Shan is quite proud of its sound production lines and warehousing facilities. However, the company's experienced knowledge in developing molds backs it to grow into a quite competitive maker in the line. At present, the company has stocked more than 1,000 kinds of molds in its plant. With a skillful R&D workforce, the company has recently added medical hardware and related accessories in its product collection, which require more advanced production technology and facilities to produce. In other words, debut of the new product lineup reflects the company's proven R&D capability. OHLA Plastic Co., Ltd., established in 1993 in Taiwan's central county of Taichung is highlighted with its expertise offered to clients and consistent effort on organization management. OHLA's available product category includes casters, plastic hardware and tube plugs for OA furniture, such as computer desks, and screw drivers. Putting heavy emphasis on quality, the company has exhausted itself on controlling outsourced raw material, making its products well recognized in the market. Although facing pressure to start providing low-price parts, it is unwilling to compromised poor quality. Also, with strong capability of mould design and production, OHLA is good at analyzing feasibility of a new product for its clients, and this is also another considerate service it can offer based on its expertise, according to Chen. In short, along with invaluable expertise relating to production of furniture parts, the company succeeded in differing from rivals, who can merely deliver low-end products with large batches. On the other hand, to create more value to compete against rivals, recently OHLA has taken moves to conduct a series of improvement measures in the organization, including workforce training, and sales, production, R&D management, while others in the line have ignored doing that. Chen said, “We pursue better operation performance and sales through improving financial structure and product quality respectively, and have worked hard in PM (production management).” For instance, the company already changed their packaging process and methods to turn its furniture parts durable to store, with clients once showing that problem. In any case, OHLA is to create value between itself and customers, according to Chen. To survive the increasingly tougher global competition, OHLA has moved to develop high-end parts for medical and sports devices for high added value. By sharpening its competitiveness in production, R&D and services, the company wants to keep growing even under overwhelming pressure from rivals.